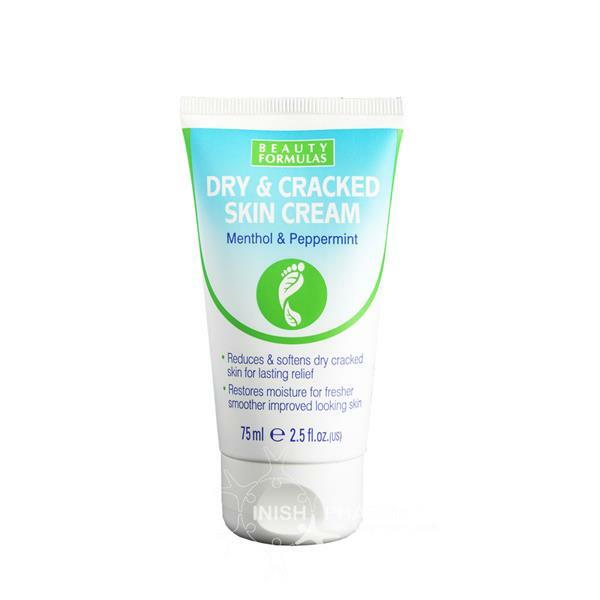 Beauty Formulas Dry & Cracked Skin Cream reduces & softens dry cracked skin for lasting relief. Its formulation of Menthol & Peppermint helps to restore moisture for fresher smoother improved looking skin. Can be used on cracked skin areas such as between toes, feet, hands and elbows.